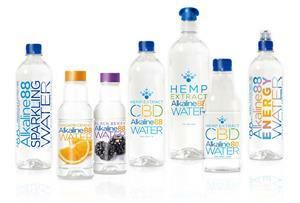 SCOTTSDALE, Ariz., Sept. 20, 2018 (GLOBE NEWSWIRE) -- The Alkaline Water Company Inc. (TSXV and OTCQB: WTER) (the "Company"), with products bottled under the trademark Alkaline88®, is pleased to announce that its wholly owned subsidiary, A88 Infused Beverage Division, Inc. (“A88 Infused”), has entered into a Co-Packing Agreement with American Nutritional Products Inc. (“ANP”), headquartered in Carson City, Nevada. This news release contains "forward-looking statements." Statements in this news release that are not purely historical are forward-looking statements and include any statements regarding beliefs, plans, expectations or intentions regarding the future. Such forward-looking statements include, among other things, the following: that the Company will successfully launch its new product lines, that the Company will be one of the first to market in the US and Canadian markets with its CBD infused alkaline water, that A88 Infused will be able to bring several sophisticated and functional new products to market by December, 2018, that the expertise of the Company will accelerate A88 Infused’s market penetration significantly, and that the new products lines will result in a major benefit to our growth and overall shareholder value.